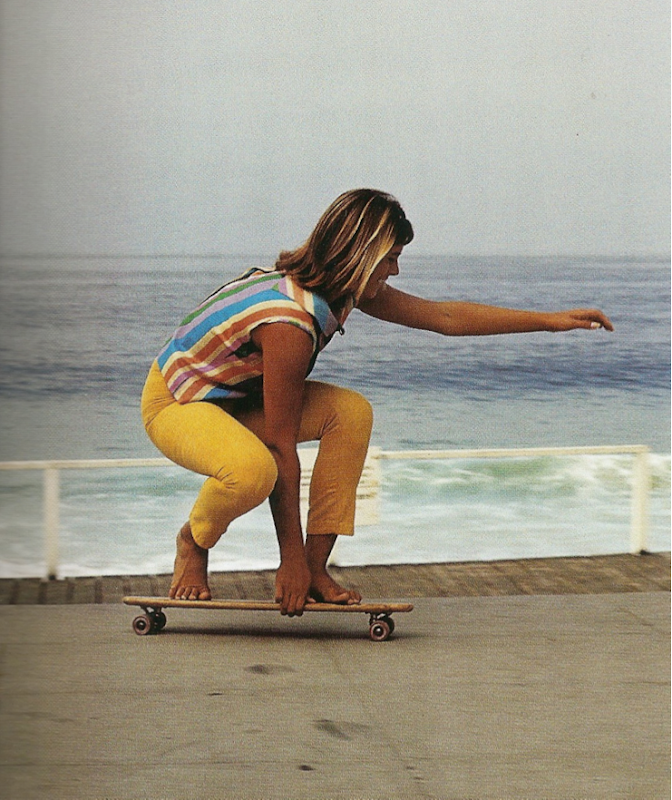 Photo of Robin Calhoun, an award-winning surfer, skating in Laguna in 1964 by Leroy Grannis scanned from Leroy Grannis: Surf Photography of the 1960s and 1970s. Oh, This outfit is perfect! Ahhh this picture kinda makes my heart sing. Happiness!